Merops ornatus Latham, 1801, New South Wales, Australia. Monotypic. English: Rainbow bird; French: Guêpier arc-en-ciel; German: Regenbogenspint; Spanish: Abejaruco Australiano. 7.5-8 in (19-21 cm), excluding tail streamers, which are 0.8 in (2 cm) in females and up to 2.8 in (7 cm) in males; 0.7-1.2 oz (20-33 g). Males are mainly glossy green with azure rump and uniquely black tail. 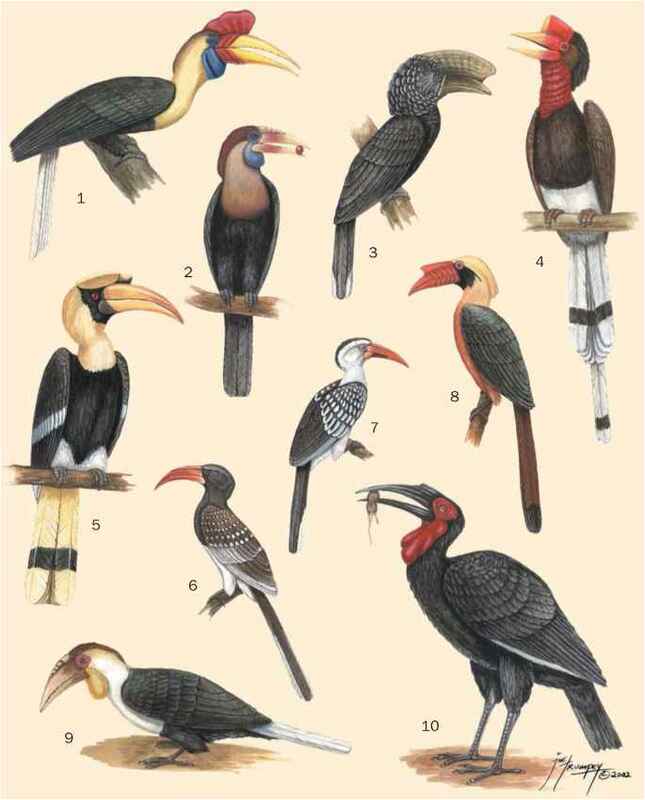 Crown and nape are bronze; broad, black eyestripe is bordered below by pale blue band; chin and cheeks are yellow; throat is rufous; triangular gorget is black. Females are similar, but hind crown is less bronzy and tail streamers are shorter and wider. Australia, New Guinea, as well as the Indonesian islands west to Lombok and north to Sulawesi. Open habitats of almost all descriptions, perhaps determined mostly by availability of nesting sites. Gregarious outside of the breeding season, roosting and feeding in flocks, but aggregated only in loose colonies during breeding. Primarily bees, wasps, and other hymenopterans. Also takes beetles, flies, moths, dragonflies, damselflies, and an occasional spider. Prey is captured on wing after being spotted from a perch. Breeding in northern areas is underway by late August or September, but in southern Australia not until November and December. Nest burrows are usually dug into flat or gently sloping ground, with occasional use of low banks. Clutch size averages five eggs. Roughly 15% of pairs are helped by one or more male helpers. Not threatened. Populations may be increasing as a consequence of open habitats being created by human activity.